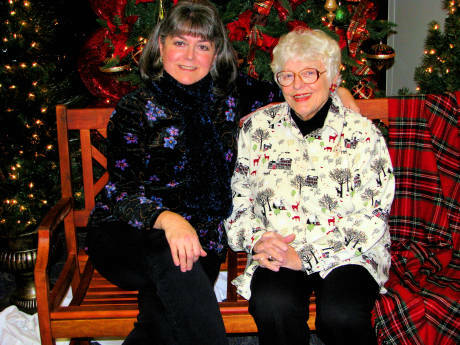 I have been the 24/7 sole caregiver of my mother-in-law, Joanne, for the past six years. She has dementia and could no longer live by herself. I spent weeks packing up her things and moved her from Georgia to Arkansas to live with our family. I buy all of her clothing and personal care products, lay out her clothing for bedtime and daytime each day, help her bath and dress, cook and supervise her during mealtimes, put together her daily medication and make sure that she has taken each dosage, make and take her to all of her medical appointments, make and take her to all of her hair appointments, take her to Sunday school, church, bible study classes, the local Senior Activity Center and other activities that make her happy. I pay her bills and file her taxes for her. We watch movies together on rainy cold days when she does not want to go out, and I patiently listen to her as she repeats stories and asks questions because she can no longer remember what she has just told me or asked me. I lovingly call her my little girl and I treat her like I would an infant or toddler that is helpless and in need of love and attention. But, what I think is more important to understand about being a caregiver is not so much of what I do for my loved one....but what I have to give up to be here for my loved one. 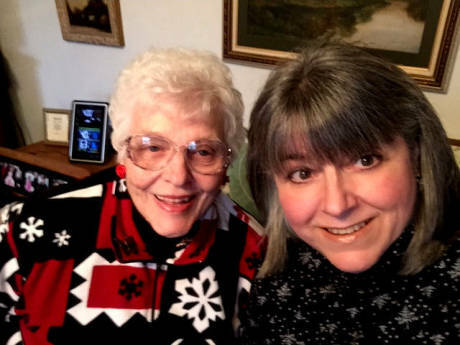 Because I chose to take care of my mother-in-law, I have had to give up going to see my own family (my mother, my sisters, nieces, and nephews) that live out of state because travel and change of route confuses my mother-in-law. I am a widow with two sons, ages 21 and 16...and I have had to miss sporting events, band competitions, award ceremonies, etc... because my mother-in-law was unable to attend and could not be left alone. We have not had family vacations. I do not get to go out to have lunch or shop with girlfriends. My life is on hold in so many ways so that Joanne's needs are met. I love her dearly and will take care of her as long as I am physically able to do so, but it would be nice if there was someone else that could step in from time to time so that I could be there more for my sons. The time I miss with them will never be replaced. I think that is the biggest sacrifice that I have to make as a caregiver.